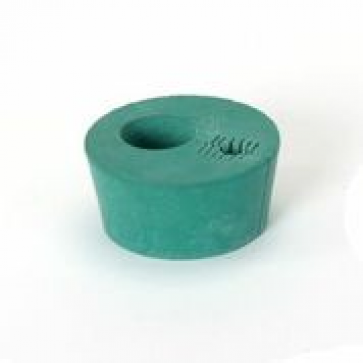 Rubber holder for Ashpalt Institute Vacuum Viscometers. Fits a standard 50 mm diameter bath aperture. Holder opens for ease of changing tube. Convenient plastic holder suitable for Ashpalt Institute Vacuum in constant temperature viscometer bath. Low cost alternative to spring loaded metal version.